Yes, you read that right. 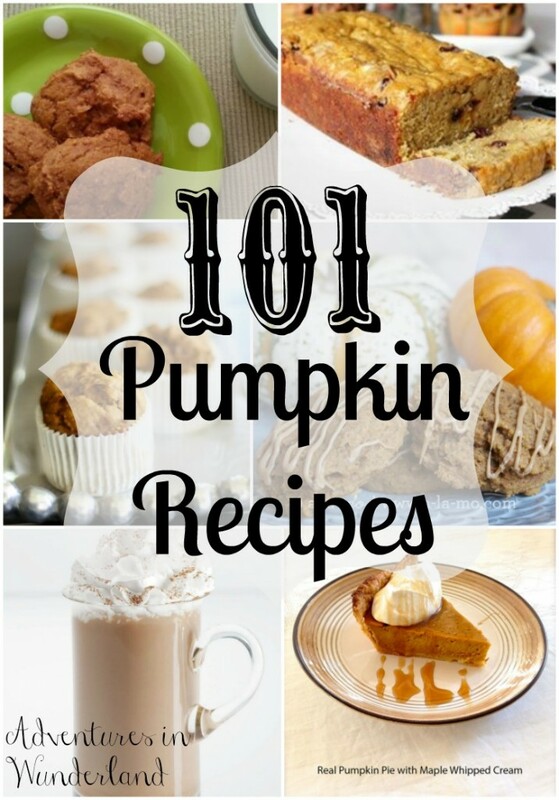 I have collected 101 delicious Pumpkin Recipes. Everything from pie to pasta, cocktails to coffee. I am obsessed with pumpkin flavored everything. I hope you all enjoy these 101 Pumpkin Recipes this fall! Thanks so much for including one of my recipes. Can't wait to try many on this list! There are so many on here that I can't decide where I want to start! You're welcome Tammy, they look delicious! i love pumpkin and buy it whenever and wherever i can. Now, i actually have 101 reasons to make them myself - or tell the hubby to do it, lol! What a great compilation! Thank you so much for including my recipe for real pumpkin pie with maple whipped cream! Can't wait to try some of these. I can't wait to try your pumpkin pie Abby! oh thank you thank you! I love all things pumpkin! sharing. I want to make every single one! Wow! That is a serious list of pumpkin recipes! You've got us covered for the whole Fall season. Thank you. I am sharing this on the Capri + 3 FB page today. haha, Yes! if you start now, maybe you can make them all ;) thanks for sharing!